Japan’s Yuya Sumiyama, and co-driver Takahiro Yasui, have won the APRC Rally of Hokkaido and by doing so clinched the 2018 FIA Asia Pacific Rally Championship driver’s and co-drivers titles with one round still to go. Sumiyama and the Cusco team also wrapped up the manufacturer’s title for Skoda, the team’s Cup and the Wurth Cup. Driving a Cusco Skoda Fabia R5, Sumiyama led from stage 2 and after the retirement of his New Zealand team-mate Mike Young, was never challenged building a 9-minute lead over the 2-day event held on the fast gravel roads near the city of Obihiro. It was an all Japanese podium with Eiichi Iwashita driving his older style Mitsubishi Evo 9 into a fine second place. Iwashita was lucky to finish the event after a brake rotor shattered on a fast section resulting in a high-speed off-road excursion on day 2. A steady approach through the rough roads on day 1 paid off for Yasushi Aoyama who was able to increase pace on Day 2 in his Cusco Subaru Impreza, securing 3rd overall and the final spot on the podium. Sumiyama’s main challenger for the APRC driver’s title Italian Fabio Frisiero was having his first experience of Hokkaido’s very technical roads and he was never able to keep pace with the Skoda driver. 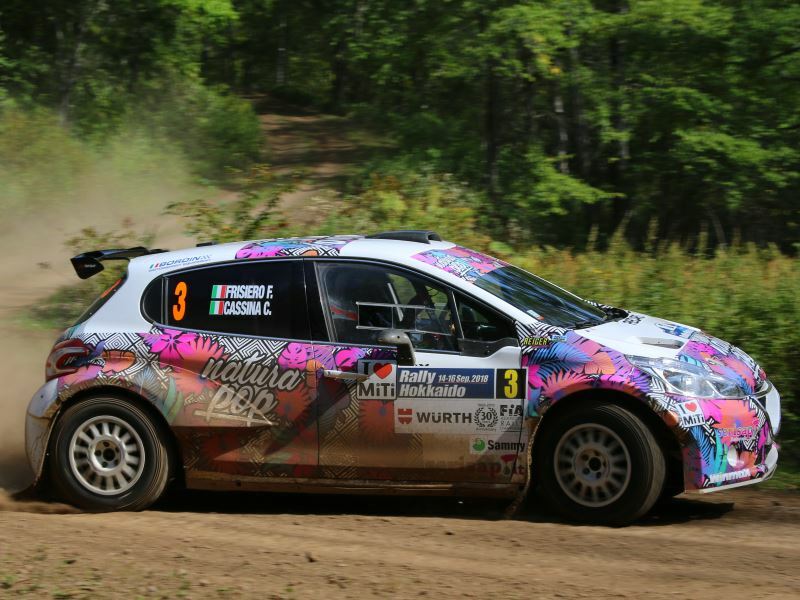 However, with a controlled and sensible drive Frisiero bought his AP4 Peugeot 208 home 4th overall. The first day saw numerous retirements including Young who won the first stage but retired early on stage 2 with broken rear suspension on Cusco’s development AP4 Toyota Vitz. Young and co-driver Malcolm Read restarted on day 2 only for a similar problem to stop them on stage 12. Road-side repairs and some kiwi ingenuity by Read got the pair going again, well enough to go fastest on the following stage, however they retired on a road section after stage 15 with no fuel. Other leading retirements were Atushi Masamura with a broken turbo, Tomehide Hasegawa electrical problems and Malaysian A K Mustaffa crashing off and hitting a tree. 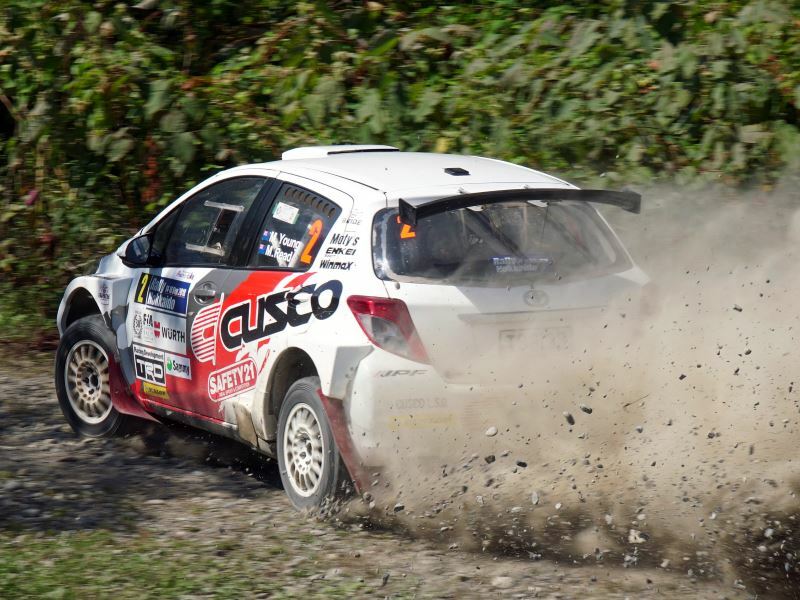 The next Asia-Pacific championship event is the China Rally 20-22 October.